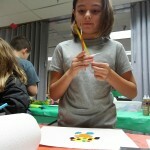 Studio MPL, our art club for kids, channeled Joan Miró by drawing and sculpting surreal artwork earlier this month. 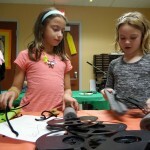 Every month, the kids in Studio MPL take on a new art project. 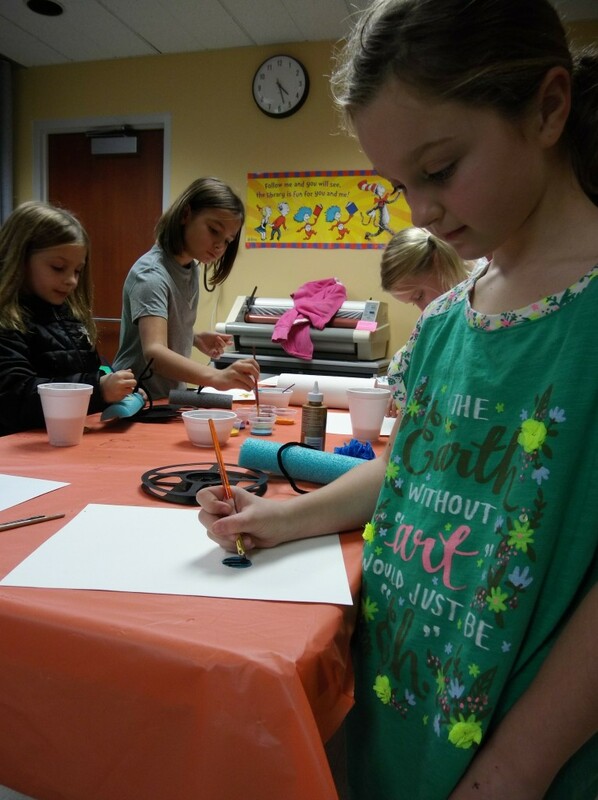 They’ve sketched live models, celebrated Day of the Dead, created imaginary friends, made sun catchers, painted sunsets, weaved, tried out pointillism and even garnered inspiration from Jackson Pollock. The club is free to attend and open to all kids in first through fifth grade. Our next meeting is 4 p.m. on Thursday, Dec. 14, at our Main Branch. We do ask that you register beforehand. You can sign up online or call us at 440-255-8811 ext. 221. 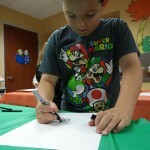 The kids transform basic shapes into surreal designs. Sarah and Claire make surreal sculptures from quotidian art supplies. Mary tries to decide which brush she’ll use next. This entry was posted in Uncategorized and tagged art, Joan Miro, Mentor Public Library, Studio MPL. Bookmark the permalink.